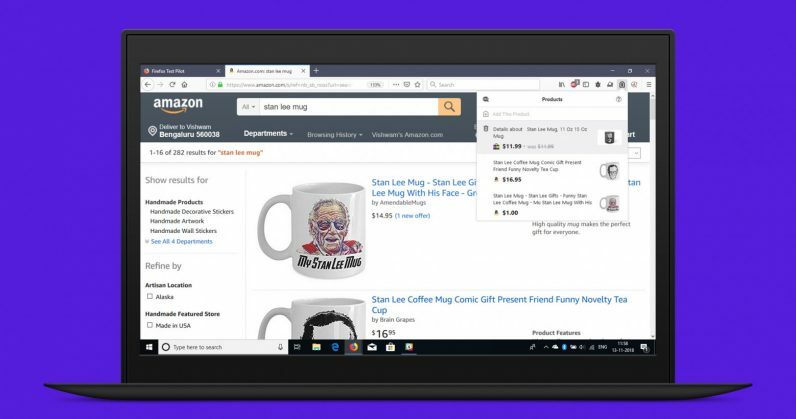 With the holiday season just around the corner, Mozilla has a new tool to help make your shopping less painful with the launch of a new Firefox plugin called Price Wise. Currently in testing, the new add-on lets you track the prices of products across five major storefronts in the US. When you’re shopping online and are on a budget, you may want to hold off on purchases until they’re discounted. With this plugin, you can add products from Amazon, Best Buy, eBay, Home Depot, and Walmart to a list, compare their prices over time, and score a deal that you may not have spotted otherwise. It’s similar to other price comparison tools that have been around for a while, but it’s nice to see Mozilla getting in on the action with a well built add-on for the job. Mozilla chose these specific websites since they were among the top 10 online shops visited by Firefox users. The web browser’s community blog noted that Price Wise is currently available only for select U.S. online retailers and does not work on international versions of their websites. The products you add are enlisted under the browser extension where you can see the current price of each item, and note if the price has risen or lowered over time. If you live in the US and still haven’t picked up gifts for the holidays, this could come in handy for making the smartest buys of the season. Oh, and in case you’re not up on Firefox: it got a major update some time ago, and is way better than you might remember.